you soon-to-be mom bosses some idea of what to expect or not, post-delivery of course. Labour is a ball game of its own – go ahead and YouTube the topic for some fun if you’re gutsy, I made the mistake of doing so. To be honest I think I was cooing at the babies/toddlers around me at the event! So small, so innocent, so beautiful – one lady broke out into a sweat because her little adorable one demanded milk on the spot, I remember those wonderful (sarcasm) days. Cot/bed. It only makes sense to buy a cot bed, right?! You can certainly buy whatever you want, more or less depending on your requirements/desires/trends. I didn’t even buy a moses basket, I’m not sure whether it was down to my sisters influence or I didn’t feel the need, although I was on the verge of picking up a cocoon baby, thankfully it was out of stock. Mums have told me it’s pretty useless, they only managed 1 month or so of usage. The basic rule around cot positioning is baby on their back, feet at bottom of the cot to avoid cot death. I am no 5* mum, at times I would do the odd thing that may not get approval by the board of Pediatrics, but my mum is a great mentor and her advice is second-to-none (I mean she raised me and my siblings after all), so as long as you assess the situation and don’t make anything a danger zone, don’t fret – your motherly instincts will kick-in full throttle. Cecile mentioned the distance between the bars should be adequate. I laugh at this point because my little doll aka JC likes to play games with us now and then, he likes to slip his wee little hand through the bars and drop his dummy 1. To hear the noise/impact 2. Because he knows too well that one of us, either the hubby or I will hand it straight back to repeat the process over again, sometimes for the attention factor, little Diva. A simple sheet is more than enough, I do however recommend a comfortable mattress because JC loves our mattress more than his own, oh and no pillows till about 6 months plus. I was given an ante-natal guideline, do’s and don’ts type of book at my 7 month class, I will be happy to share this with you all, just pop me an email at fashky@hotmail.com if you’d like. Sleep – welcome to the world of Z. 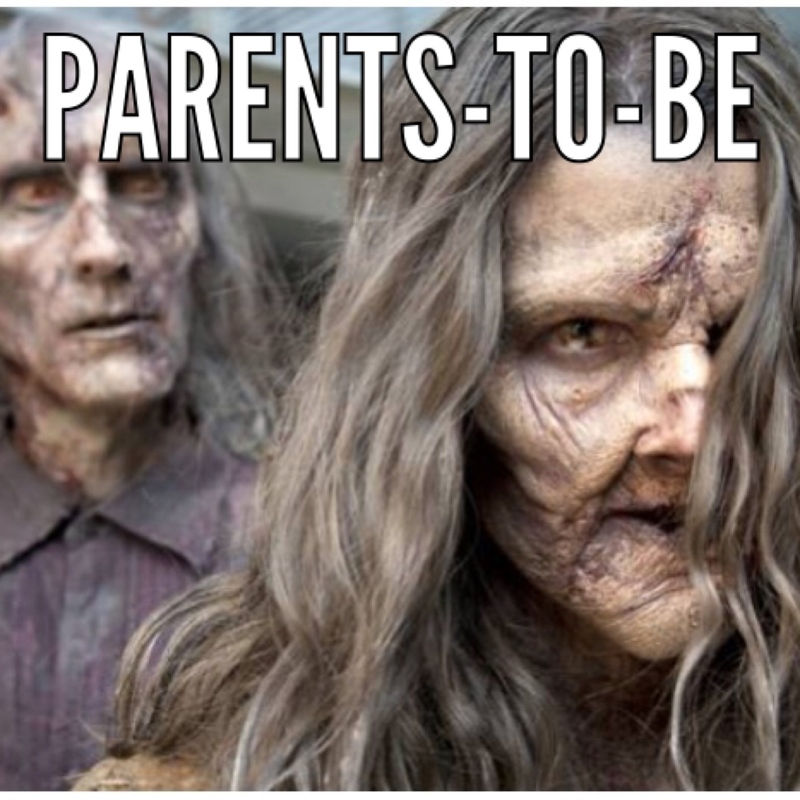 The most feared, every parent will become a zombie at some point, the amount and time to transition back depends on your baby. Hand on heart, the second most difficult thing after BF for me. If your baby sleeps long periods (like my niece), please count yourself extremely lucky, I envy you. If like JC who’d wake every 2 hours, sometimes less… you can do it, just remember routine. Of course, babies will not understand night and day – he/she ran their own mini world inside mummy’s belly, to choose when night and day falls. Daily habits are key to establishing routine, l would bath JC before bedtime, change his clothes first thing in the morning, everything is sluggish to begin, but gradually the hard work pays off. I also tried to stop feeding him through the night at around 4 months for sanity, and only at 5-6 months, things started looking up. Food/chair – when is my baby ready? Personally, my advice would be to monitor your baby. 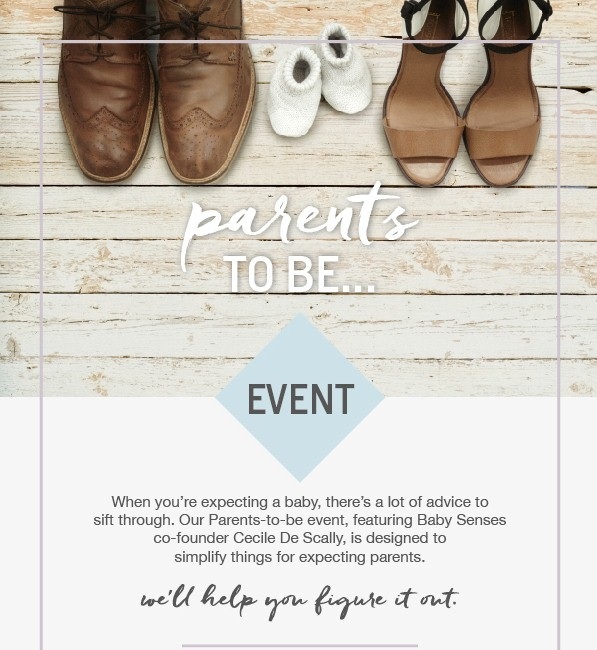 Some babies learn to eat quicker than others do, and although there are 7 rules as Cecile mentioned (sturdy neck, ability to turn neck, sit up, curious about what you’re eating, coordination of the tongue…) if your baby is ready, she/he is ready. Pediatrician’s advice generally differs, my pediatrician said 4 months is a good time to wean, and some OTC baby food starts from 4 months too however if there is a history of allergy or disease in the family, hold off till 6 months at least when their digestive/immune system is stronger. JC took to food amazingly well at 4 months, this was my savior from losing the plot, he hardly felt full with milk. Jar foods are a no/no for Cecile, and yes I agree… I do however feel by mixing up packaged baby food with home-made stuff is also acceptable, for me, us. JC liked certain pre-packaged sauces, especially Ella’s (boy, this little man has expensive taste already), however steaming vegetables to puree when needed was fab, they remain rich in flavour without the need of adding salt (which, by the way should be very minimal as a baby’s kidneys are not fully ready for salt, I think 1g if that). That takes me onto baby chair/high chair; you have to put them somewhere during meal times. 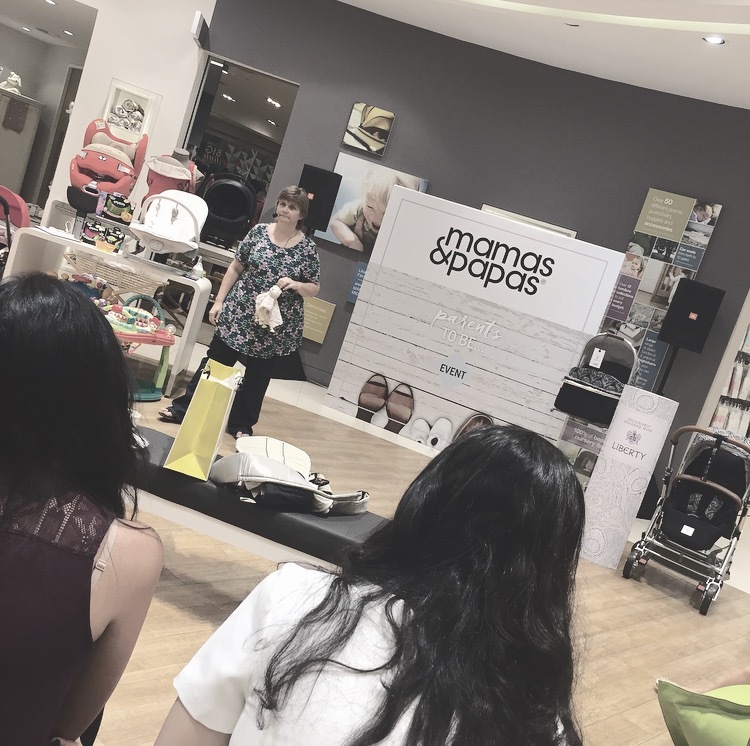 Snug chair by M&P is recommended by Cecile, babies can sit as early as 4 months but not for very long periods. If you follow me on Instagram, I got a small inflatable chair from M&P (with front play tray), the best thing everrrrrr as it gave me time to go about doing other things, like apply my eyeliner without holding him in one hand trying to do the other. Car Seat – What car seat should I buy? I cannot recall the amount of times we went to investigate car seats, it was ridic, in the end we agreed on Stokke. My hubby and I had many discussions (small indifferences, disagreements, negotiations, maybe a fight here and there) husband was pushing for the isofix Maxi-Cosi, but logic for me was the Stokke (at this stage we’d already purchased the Stokke Xplory pram), apparently Stokke don’t have the isofix in Dubai. I wanted something to take out and fix right into the pram, no issue no sweat. Oh boy, my viewpoint has done a 180 since, why didn’t I get the isofix from MC. I have to admit; at times, I was out with JC more than 2 hours, mall-ing it in his seat, does that make me sound like a bad mum? I often get carried away in the mall, but to my defense I used to take him out from time to time. If you can, get yourself a carrycot for outings. Car seats are extremely monotonous as expected, not to forget the odd bump on the head here and there whilst putting JC in, or that isolated incident where the seat belt was slightly loose and on turning the seat tippled over (ofc, still strapped in)… if only we got the isofix, if only. One thing Cecile mentioned was to place the seat on the back of the passenger side; this enables you to check on your baby at the corner of your eye. There is controversy about the middle seat. If you think your baby needs attention, pull over. If you have a seat mirror, refrain from turning. Front seat is a huge ‘are you crazy’ quote ‘me’, not until your child is around 12/13, the dashboard is a crumple zone. Tummy time. Helps strengthen the neck of a baby. TT can start at 4 weeks of age, 2-3 mins 4 times a day and built up to 20 mins 4 times a day – never after a meal. Cecile was bang on when she said boys tend to dislike this, JC is a leading example, he cried every time we attempted. You can begin to teach your small 6-8 week old how to roll, always be careful – don’t leave them alone after 4 weeks, they can end up behind the door ready to shout ‘boo’ you can have the fright of your life. I have just realized I’ve written 3 pages, gosh! Time to sleep, or try. There are plenty of other subjects around newborns and you can google them, check babycentre or pop me an email, I can try to answer any questions, of course I am not a specialist just a regular mum. Always remember perfection doesn’t exist, just keep going you’re doing a fab job.